Starting your studies at U of T Engineering can be an engaging and exciting time in your academic career and life. While the experience may provide a number of opportunities for potential enjoyment and personal development, we understand that some aspects of your new environment can also make some students feel out of place or excluded. 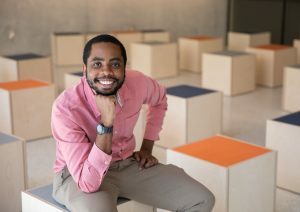 U of T Engineering’s Inclusion and Transition Advisor, Mikhail Burke, is available to assist students who may be experiencing barriers to their transition into and inclusion within the Faculty. Mikhail provides individualized support and/or coordinates with other support services, student groups, staff and/or faculty to address issues raised by students. Believe there are no activities or events that represent your interests or upbringing. Feel out of place within the classroom or Skule™ environment. Perceive a lack of empathy and understanding from other students, staff or faculty. Doubt your own accomplishments and deserved privilege to be here. Are not aware of the opportunities and support systems that are available to you. Do not understand what is expected of you as a student. Are looking to connect with an approachable staff member that you can report potential concerns to. Every student in the Faculty should be supported and provided an equal opportunity to feel a sense of belonging within the U of T Engineering community. Drop-in hours: 9:30 a.m. – 12:00 p.m., Fridays in SF B670. If the drop-in hours do not work with your schedule, please email Mikhail to set up an appointment.